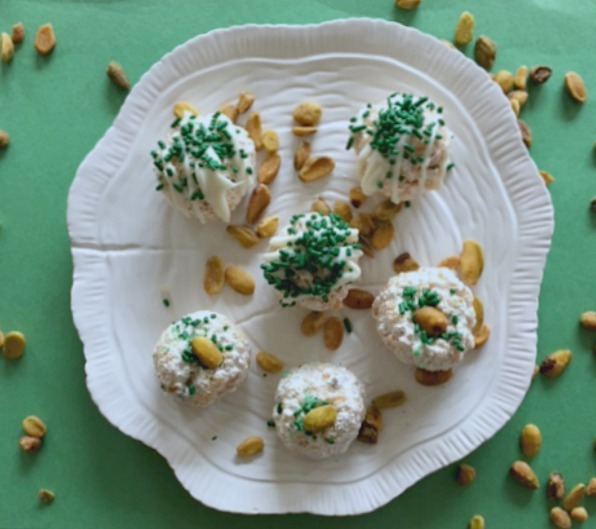 Pistachio Marshmallow Crunch Balls – Have fun making these sweet treats with the kids. 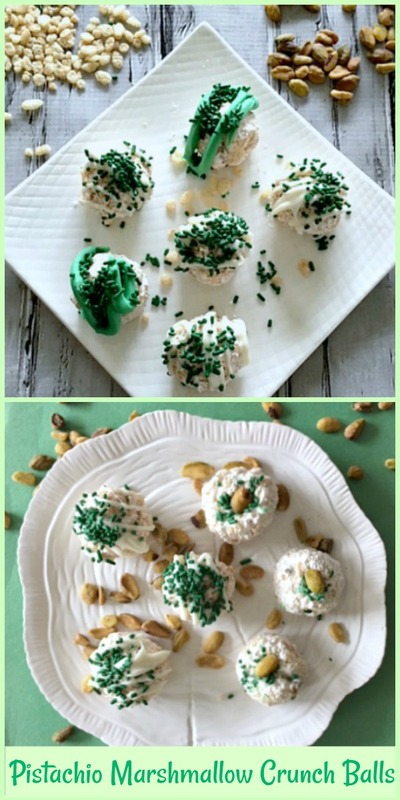 It’s a messy craft but worth the laughs and once you take a nibble you will want to make this a tradition with the kids. Enjoy the gooey yumminess! 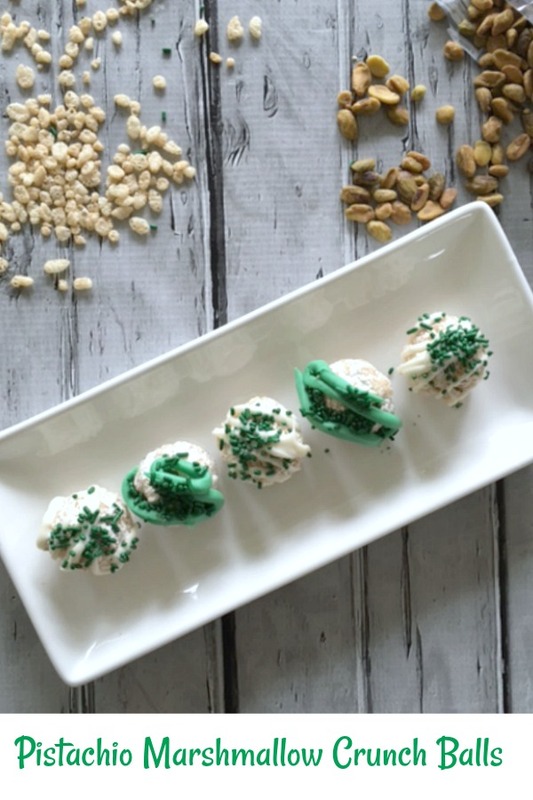 For a simple and easy no bake treat you and the kiddos will have fun making, try this recipe made with simple pantry items. These were a big hit. They take just minutes to put together and can be made for any holiday or any occasion using different colored sprinkles or add-ins. Make a batch for your family and see how fast they disappear. They are super sweet and yummy. 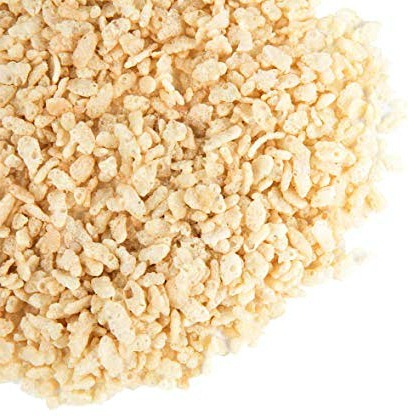 1 1/2 cup Rice Krispies cereal, or any store brand. 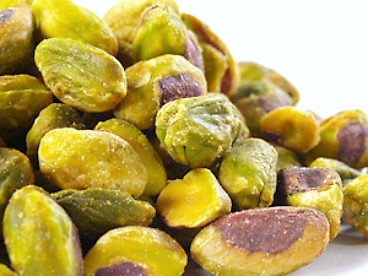 1/2 cup chopped toasted pistachio nuts, or more to taste. 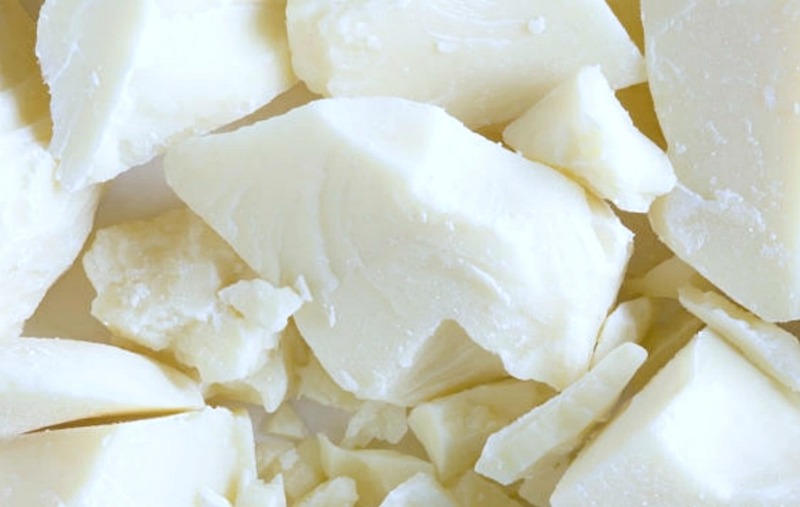 2-4 ounces white chocolate melted, don’t use Chips they won’t melt properly. Spray measuring cups with cooking spray. 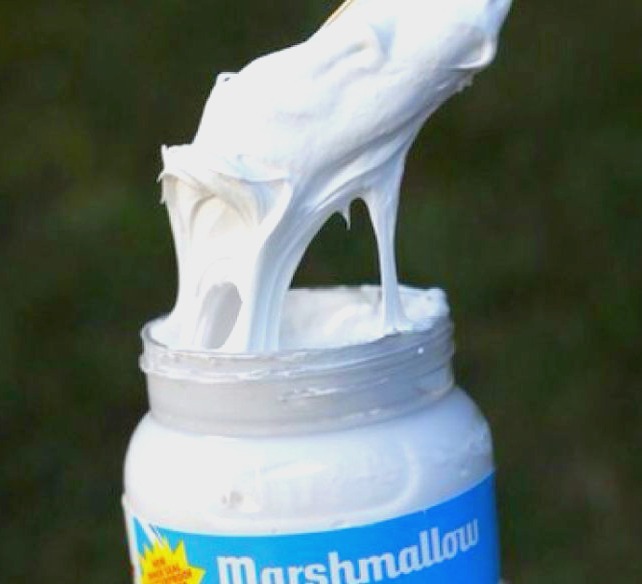 Then, scoop out marshmallow fluff into the cups. Spray a mixing bowl as well and add the fluff to the mixing bowl. Pour cereal into the mixing bowl and with wet or sprayed hands (cooking spray) mix marshmallow fluff and cereal until almost combined. You can use a wooden spoon that’s been spray as well but, it may take very long and get stuck. Better with your own hands. Add the nuts and then continue until all is combined. This is really messy but it’s a fun activity for you and the kids. Place in fridge for about 5 minutes. No longer. Take out of fridge and roll into balls. Place on parchment paper and let set up on counter. While the balls are setting up, place chocolate in microwave on 20 second intervals. After each time, take out and mix. Do this until chocolate is smooth and shiny. Try not to overheat the chocolate. Stir when done then place in a ziplock bag. Squeeze all the chocolate to one end and snip off the corner. Drizzle over the balls then toss the sprinkles. Place one or more nuts in the center. ENJOY these delicious treats! Pistachio Marshmallow Crunch Balls - Have fun making these sweet treats with the kids. 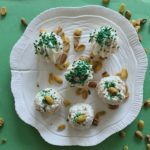 It’s a messy craft but worth the laughs and once you take a nibble you will want to make this a tradition with the kids. Enjoy the gooey yumminess! 1 1/2 cups Rice Krispies cereal, or any store brand. 1.Spray measuring cups with cooking spray. Then, scoop out marshmallow fluff into the cups. Spray a mixing bowl as well and add the fluff to the mixing bowl. 2.Pour cereal into the mixing bowl and with wet or sprayed hands (cooking spray) mix marshmallow fluff and cereal until almost combined. You can use a wooden spoon that’s been spray as well but, it may take very long and get stuck. Better with your own hands. Add the nuts and then continue until all is combined. This is really messy but it’s a fun activity for you and the kids. 3.Place in fridge for about 5 minutes. No longer. 4.Take out of fridge and roll into balls. Place on parchment paper and let set up on counter. 5.While the balls are setting up, place chocolate in microwave on 20 second intervals. After each time, take out and mix. Do this until chocolate is smooth and shiny. Try not to overheat the chocolate. Stir when done then place in a ziplock bag. Squeeze all the chocolate to one end and snip off the corner. 6.Drizzle over the balls then toss the sprinkles. Place one or more nuts in the center. ENJOY these delicious treats!